Our goal is to create even more courses, content, and tools to help you become the best motion designer you can be. We want to help you land a gig at your dream job, expand your talents, and grow your portfolio. 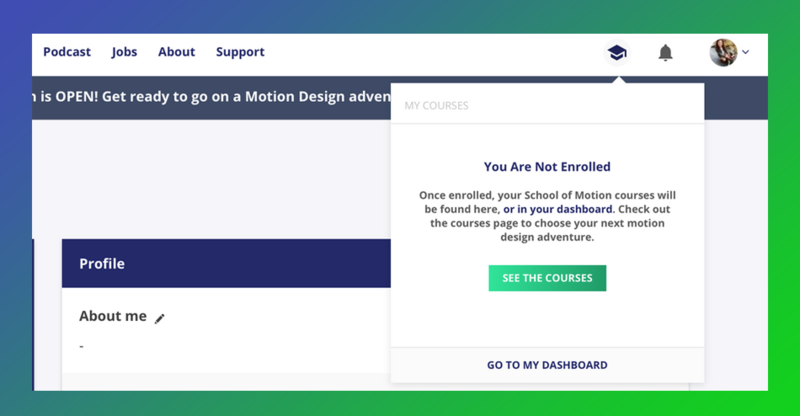 School of Motion is growing like crazy and, as a result, there are a ton of new updates you should know about. So if you're ready to take a peek behind the curtain, let's dive in. 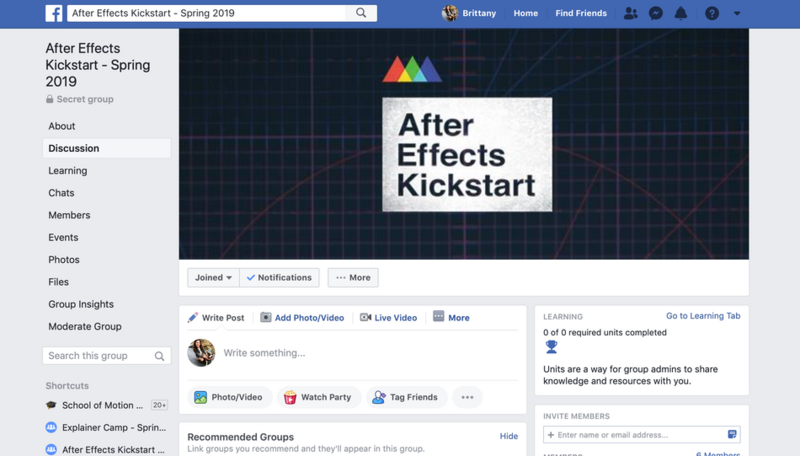 We recently launched a new Student Experience Team to make sure SOM students have a voice within the motion design community. We will be hosting alumni networking opportunities both online and in person, and helping our students get their portfolios in front of potential employers. There are lots of great ideas about content and courses that come straight out of our community, and we are honored to be able to help bring those ideas to life. To help us get there we recently brought on Brittany Wardell (on left) to be our first Student Experience Manager. Brittany is here to elevate your experience at School of Motion and expand our impact on the motion graphics community. We'd also like to introduce Shelby Ward (on right)! Shelby is here to make sure everyone's questions are answered, requests for help are supported, and address student feedback. She's the eyes and ears of the Teaching Assistants and students. The Student Experience Team also consists of our incredible Motivators and Teaching Assistants. These folks are ready to help you become the best motion designer you can be. You've spoken. And we listened. We want to make sure that our students have a top notch experience from start to finish. We took your feedback to heart and made the following updates to the way you experience the courses. We've added helpful course notifications to help keep you aware of what's happening in your course. You'll see your notifications by clicking the 🔔 of the course page, or you can subscribe on mobile (android only, for now) or through your supported browser. Also, don't miss the most adorable "no notifications" animation that you've ever seen, created by our one and only Zak Tietjan. Here's a demo of our newiest UI buddies, the Geometrio. 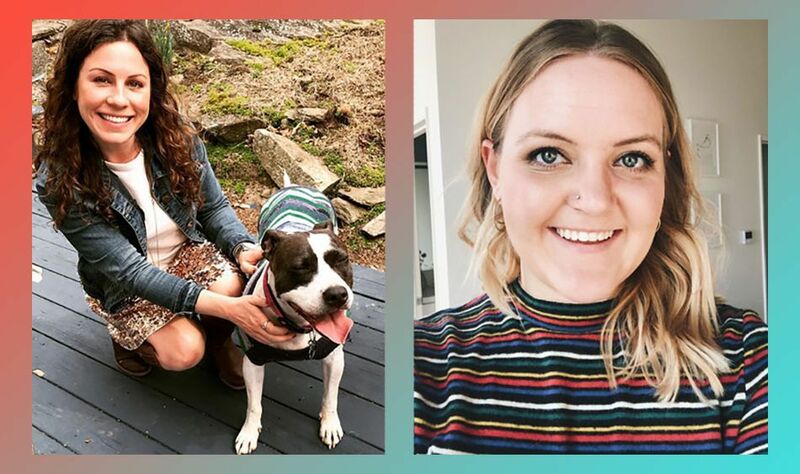 Side Note: This is one of our favorite case-study videos of 2019. 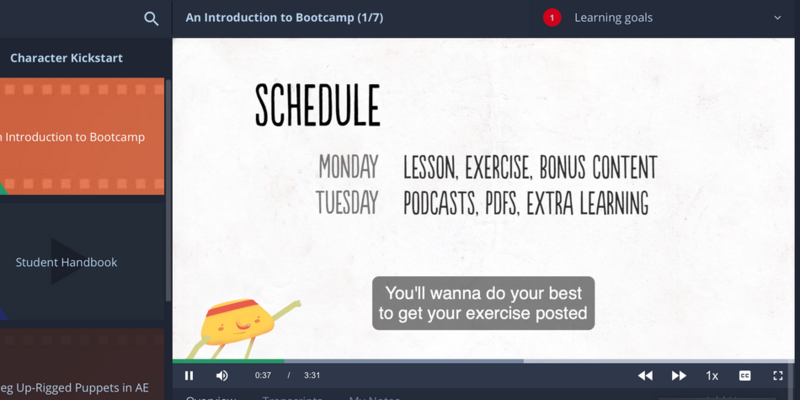 You can now take notes right inside your course as your instructor moves through the lesson. All of your notes will be time-stamped, and you can download and share an organized set of notes directly from your browser. Woot! This should really help you stay focused and organized throughout the course. When you start a School of Motion course, you can grab a link to the session calendar and import it into your favorite calendar app. Anything that supports iCal will work, including Google calendars. We hope that having your assignments, focus weeks, and extended critique dates in advance will help you get the the most out of your time in your School of Motion course. If you add the email address you use for your Facebook account into your dashboard, you will now be automatically be accepted the morning the course starts! This can give you a 48 hours head start in your group. This was probably one of our top requested features. You can now do a quick rewind or fast forward by 5 seconds for any of your course videos. This feature is currently for video only. You might have noticed the update to our navigation bar. Hover over the 🎓icon to see a quick preview of your courses and easily access all of the tools that you need for your course. We offer a TON of free content on our website so that anybody can get an understanding of what's going on in the industry. We've been dropping new tutorials and content pieces on a consistent basis with insights from some of the best motion designers in the world. You can check out Kyle's Text Animator Tutorial or Joey's Q&A with HyperIsland for some beefy video tutorials. Our alumni were also kind enough to share testimonials about their time at School of Motion. Here's a collection of their insights. We also dropped a brand new video that covers the new features found in After Effects 16.1 along with a free script for quickly creating rule of thirds guides. 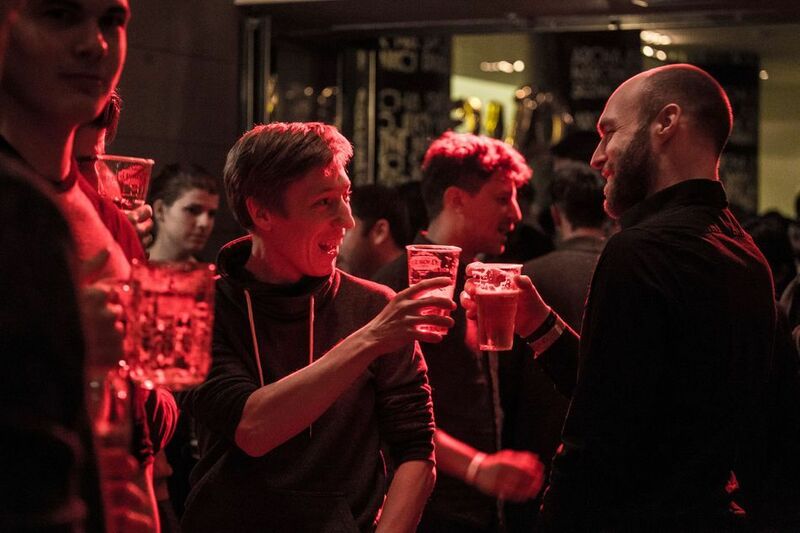 We friggin' love MoGraph meetups! The team has been growing, sponsoring, and promoting all kinds of events, big and small around the world. As of Spring 2019, School of Motion has already sponsored Motion Plus Design, The Mouvo Festival, and the Keyframes Conference in Orlando. We updated our ultimate list of motion design meetups and events so you can find an event near you. We'll be at NAB, Adobe MAX, Blend, and much more this year. You can stay up to date on new announcements and see some beer-filled event pictures by following us on the gram and liking us on Facebook. There's a lot of really exciting stuff on the horizon! We have big plans for new content, courses, careers, and opportunities in 2019 and beyond. This is already shaping up to be our biggest year to date, and we're thrilled to be on this motion design journey with you! Let us know if we can ever improve your experience in the motion design industry. Now if you'd excuse us, we're going to keep scrolling through our favorite motion design feed of 2019.